The Three Mile Island Unit 2 reactor, near Middletown, Pa., partially melted down on March 28, 1979. This was the most serious accident in U.S. commercial nuclear power plant operating history, although its small radioactive releases had no detectable health effects on plant workers or the public. Its aftermath brought about sweeping changes involving emergency response planning, reactor operator training, human factors engineering, radiation protection, and many other areas of nuclear power plant operations. It also caused the NRC to tighten and heighten its regulatory oversight. All of these changes significantly enhanced U.S. reactor safety. 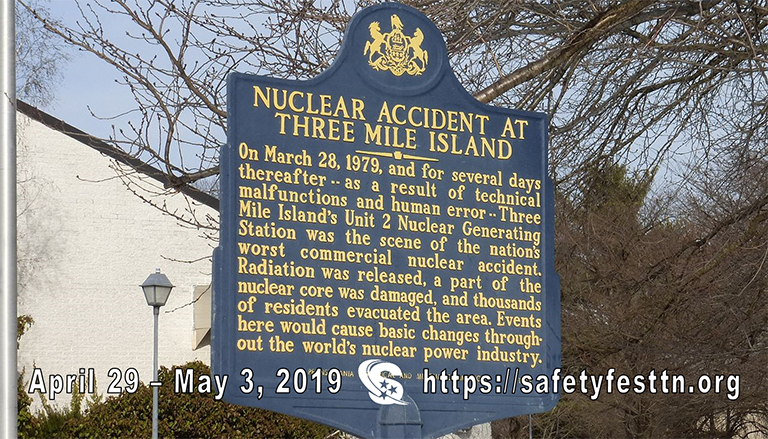 For more information visit the The U.S. Nuclear Regulatory Commission (NRC) website, Backgrounder on the Three Mile Island Accident (https://www.nrc.gov/reading-rm/doc-collections/fact-sheets/3mile-isle.html#animated).